Ridgedale has record turnout on 2 traps! 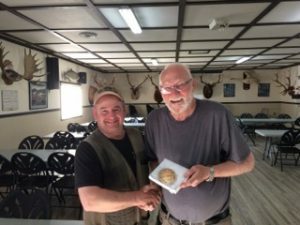 Ridgedale Rod & Gun Club first PITA shoot since 1974. Really nice trophy package, produced by Olson in Canada at very competitive pricing, for Blair Duncan and Cory Boileau. Trap Division officers, Brian Fooks and Dave Graham are intending to make this an annual event at this time of the year, before the year’s farming gets intense! There were 53 shooters and 5 events! 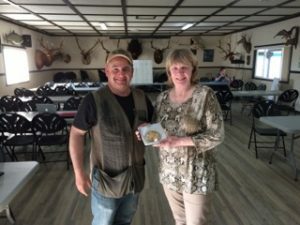 Great turnout for the best 2-trap club in BC! All white Caldwell targets with a similar background to KWA #2 Trap or SVIR #4. Brian Fooks handing out the trophies. Pat Bare, Trish Fern, Jamie White; Luca Sekela (with both Brian and Dave Graham). 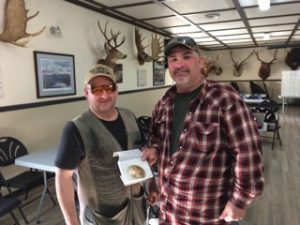 Walla Walla hosts PITA shoot…plan to attend! 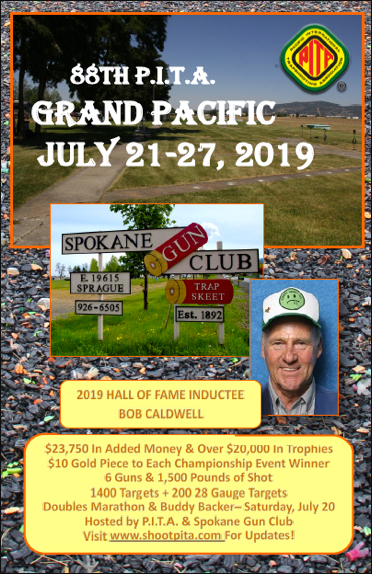 Better late than never, Walla Walla Gun Club is proud to present shoot flyers for two important and very fun registered trap shoots coming up the first weekend in May. 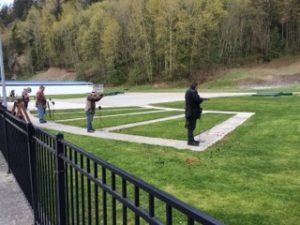 Gig Harbor Sportsman’s Club teams up with Sumner Sportsman’s Association – 200 singles combined event. Both clubs are hoping this collaboration will improve attendance for both clubs shooting the same weekend. Please look at our shoot programs for more information. 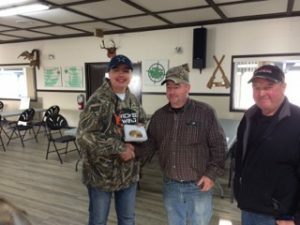 It was a big day for the Douglas Ridge Youth Shotgun Team at the March 31 Canby Tournament. In singles, Lance Moser took a C-Class win with a 96/100. Lance also shot his first 25 straight in competition so everyone at the tournament got together to shoot his hat. Great job Lance! Dylan Nelson took the Junior win with a 93/100. Wyatt Copeland shot an 88/100 in the Handicap event to take the Junior title. In Doubles, Wyatt Copeland took the B-Class win with an 86/100 and Dylan Nelson took the Junior win with an 81/100. High Overall (HOA) for the day were Wyatt Copeland in B-Class with a 261/300; Dylan Nelson took the junior trophy with a 259/300; and Lance Moser came home with a C-Class trophy for his 248/300. The HOA trophies were one troy ounce bars of silver. Very Shiny. Great Job Guys!! Of note, we now have a couple of adult club members joining the DRRC Team at the tournaments. I’m very pleased with this development. These fellas have been coming out to shoot with us at the club and have enjoyed watching the youth team develop. They’ve developed friendships with the kids and the families and it took very little arm twisting to get them join us in competition. This was their second Tournament with the team and they signed up for the next tournament, so I think they are enjoying it. Notice to all gun club managers. Right after trash removal, reloading the houses and putting the voice calls away should be, send shooter’s scores to the Secretary. They are not official until she gets them so any delay directly affects the accuracy of a shooter’s averages/classification and/or yardage. Send them by email if possible the next day, money can always be sent later. For those using the 3S cashier system email all of the backup files or ask your cashier to do so. Need help, do not hesitate to ask – kay@shootpita.com – (208) 312-0314. Don’t be responsible for a shooter being miss classified at his next shoot because you were slow in sending the Secretary your last shoot report. Often shooters will shoot on consecutive weekends and a late report causes mistakes in averages/classifications or yardage. The Pitt Meadows shoot scheduled for March 31-April 1 has been cancelled. The club is still waiting for some sort of permit from the city so they can open.